The below infographic offers some great advice for wheelchair users who are looking to use stretches to increase flexibility, posture, circulation and more. It lists out some wonderful stretching exercises as well to get you started! Looking for a fun adventure out of Baltimore but short on time? Never fear, the below infographic maps out some fun day trips that you can take without having to use up that precious vacation time. From beaches to sightseeing, plan your next fun day off with the information below. Ever curious about the biggest heists ever pulled? The Below infographic compares these heists to the value of some things that go on to show just how relatively huge the monetary value of the heist actually was. From banks to major home invasions, the graphic below will keep you fascinated for a while. With where the web is at today, there are very few marketing tools as powerful as remarketing. The hardest part of building a brand might be awareness of a product or service, but it quickly becomes important to remain on the top of their minds. Remarketing allows you to do that. The below infographic will break down the ways in which you can start your own remarketing campaign. Top Five Phones – How Much Are They Worth? Curious how much that phone of yours is worth? Have an old iPhone 5? You might be sitting on a pile of cash. 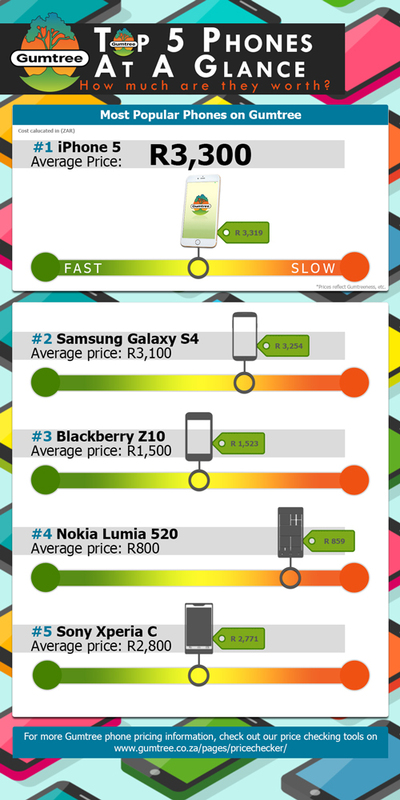 The below infographic will help you determine about how much you should aim to sell your phone for by comparing it to the average price it might normally go for at Gumtree. Despite all the increases in technology and improvement in the economy, the sales cycle for B2B has actually been increasing the past few years. So why is that? The below infographic dives into the statistics, as well as offers some great advice on how to break through this terrible trend and start improving the sales timeline for your business.